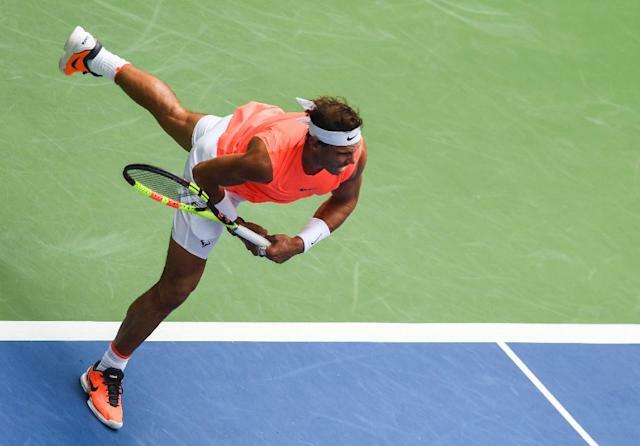 New York (AFP) - Defending champion Rafael Nadal on Sunday reached the US Open quarter-finals for the eighth time where he will face Dominic Thiem, one of only three men to defeat him in 2018. Next up for Nadal, the three-time champion in New York, is Thiem who he defeated in the Roland Garros final in June when he captured an 11th French Open. Thiem, who beat Nadal on clay in Madrid, booked his place in the quarter-finals for the first time with a 7-5, 6-2, 7-6 (7/2) win over 2017 runner-up Kevin Anderson. The ninth-seeded Austrian's three other appearances in the last-eight of a Slam have all been at Roland Garros in 2016, 2017 and 2018.